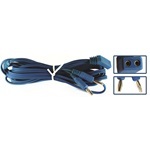 These disposable bipolar cords employ a unique plastic and non-memory wiring material that allows the cord to easily uncoil and lay flat when removed from the sterile package. 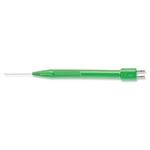 Disposable bipolar pencils are ideal for performing pinpoint hemostasis in delicate tissue structures. The main feature of the bipolar pencil is the insulated wire and sleeve that form the coaxial harness assembly. 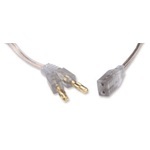 Reusable TPR (thermoplastic rubber) bipolar cables 12 inches, straight connection, universal 2 pin fitting.